In a few days time I will start the longest drive of my life. I will leave Esperance, WA and drive over 4,000km to Bundaberg, QLD. That’s the equivalent of driving from London to Mumbai (but crossing one country instead of 12). Australia doesn’t look that big, does it? It’s a bit of a sneaky secret, but I’m telling you, Australia is enormous. It is vast, and Australians, who are used to these distances and consider them normal, have a totally different perception of distance from visitors. Having lived remotely for the past few years, I have learned not to underestimate Australian distances and also grown cautious of the casual way in which Australians say somewhere is ‘just up the road’ meaning, in fact, it is hundreds of kilometres and several hours drive away. 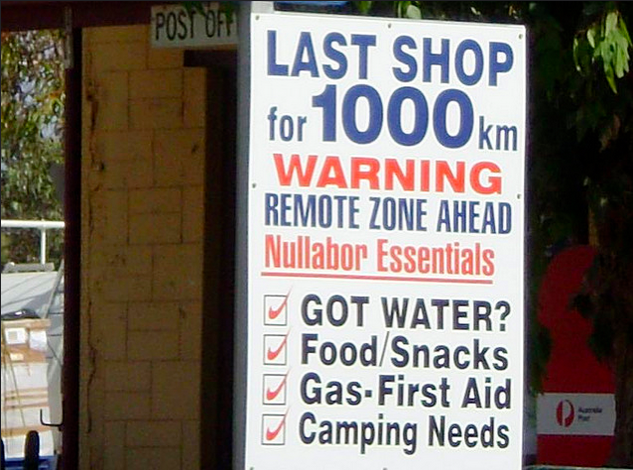 The first section of the trip is the not-so-welcoming Nullarbor. 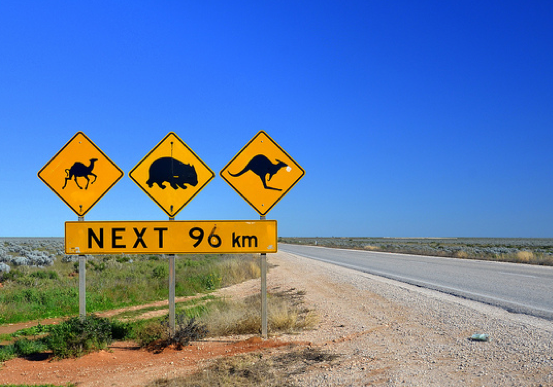 Driving across the Nullarbor is viewed as a rite of passage among Australians. Conquering the 2,700km distance along the south coast of Australia on the Nullarbor Plain (‘Nullarbor’ being Latin for ‘no trees’) is considered a great adventure. Incidentally, do you realise the length of the Nullarbor is roughly the same as the distance from Los Angeles to New York? Can you imagine driving across America and not seeing anything, not even one tree? Cripes. If the name didn’t give it away, the Nullarbor is an extremely hostile environment. I’m told it is the challenge of being properly prepared and making it successfully across that is exciting. I expect to feel small and vulnerable in a vast and bare wilderness. The distance is as exciting as it is mind-blowing but I am dreading the amount of time spent in the car. I expect to be driving for between six to eight hours per day, for seven days. Combine over 40 hours of driving time and my ability to fall asleep anywhere, no matter how uncomfortable or unwise, and I’m not expecting to look or feel pretty when I eventually arrive in Bundaberg! After the Nullarbor I’m looking forward to seeing South Australia’s dramatic coastal cliffs on the Great Australian Bight, some new (to me) Australian Big Things, skirting the edge of the Flinders Ranges and the Blue Mountains and having a look at Broken Hill and the northern New South Wales coastline. Hopefully I can stay awake for those bits at least… Wish me luck! What’s the longest road trip you have ever completed? Do you have any tips?